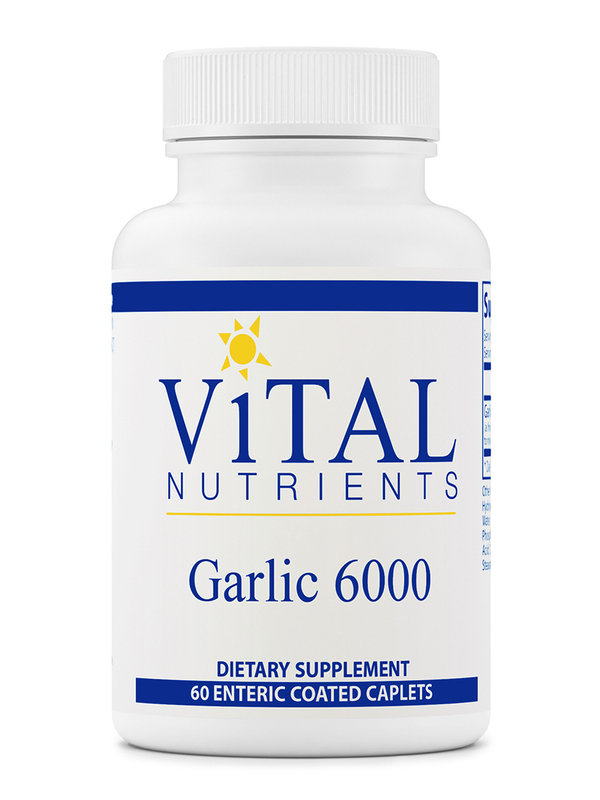 I just starting taking Garlic 6000 by Vital Nutrients to help lower my cholesterol levels. Excited to see what my blood work looks like when I go back to the doctor. Its clean and no repeating odor. I think Garlic 6000 Enteric Coated by Vital Nutrients is terrific! Garlic 6000 helps the body maintain healthy cardiovascular function and helps maintain cholesterol levels that are already within the normal range. It also supports the immune system. Allicin and alliin are the active ingredients in garlic. The enteric coating helps to prevent repeating and garlic breath odor. 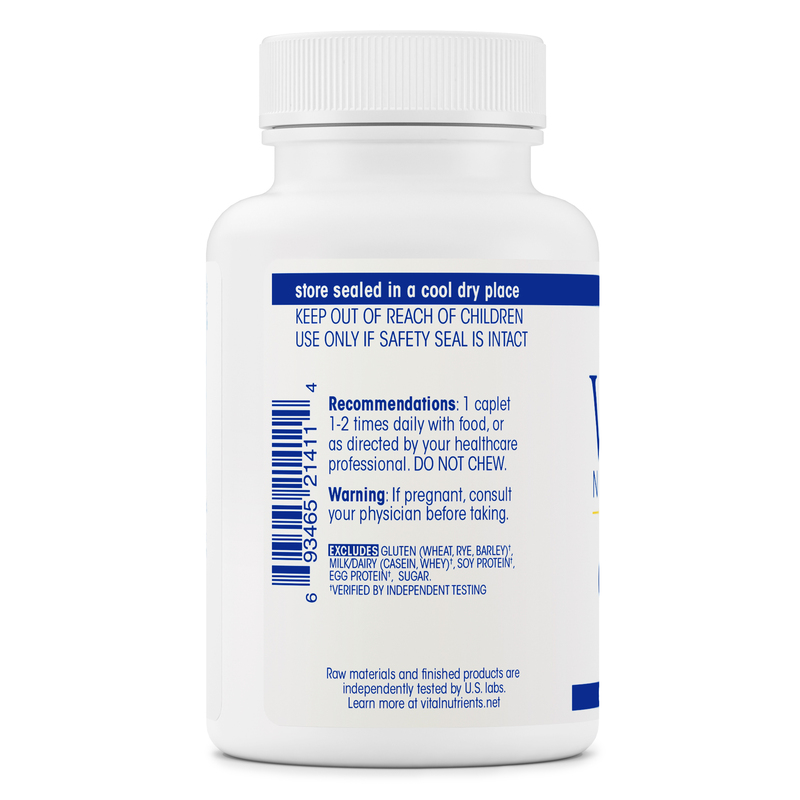 Other Ingredients: Cellulose‚ starch‚ calcium phosphate‚ cellulose gum‚ silicon dioxide‚ stearic acid‚ crospovidone‚ magnesium stearate‚ and enteric coating (Phthalate-Free). Excludes: Gluten (wheat‚ rye‚ barley)‚ milk/dairy (casein‚ whey)‚ soy protein‚ egg protein‚ sugar. 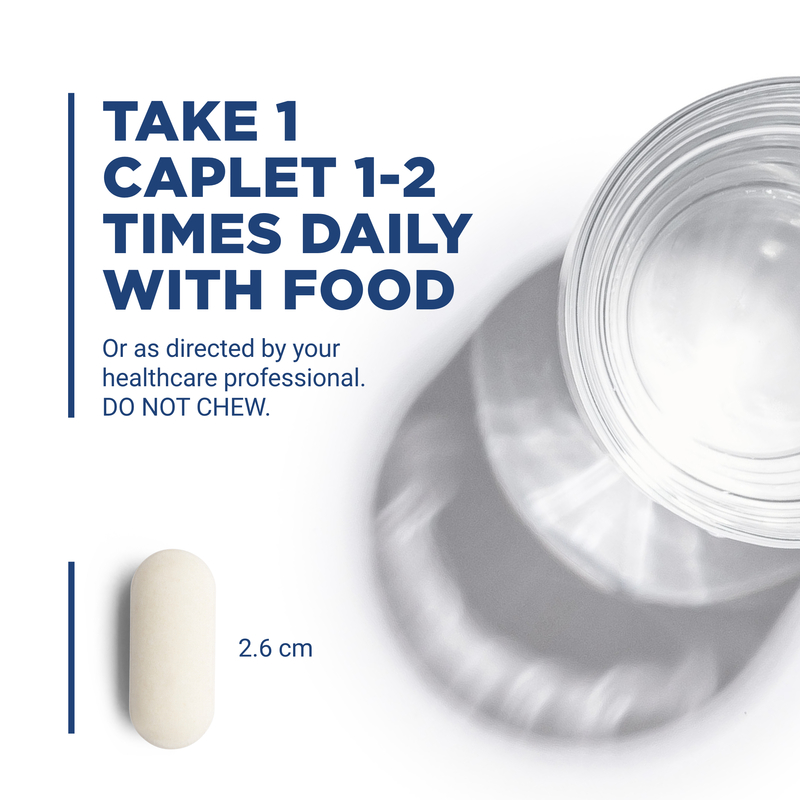 1 caplet 1-2 times daily with food‚ or as directed by your healthcare professional. A little gas but not bad. 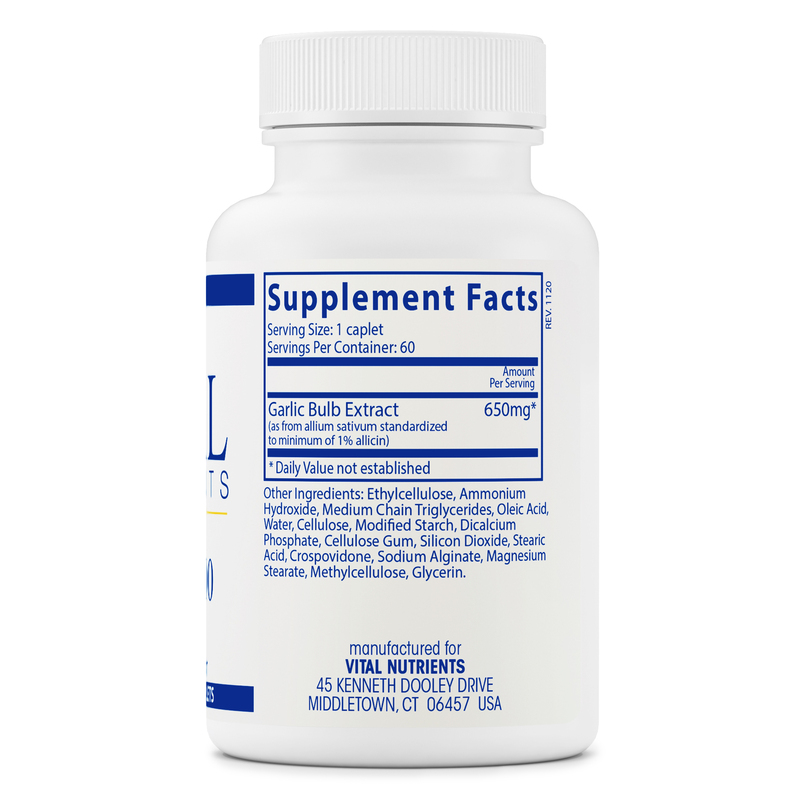 Garlic by Vital Nutrients is very effect it works very well.i believe i have some sort of praisite which this product work very well on.I will continue to take this product for health reason i believe this company makes the best product on the market i have try them all these are the best. it works very well .the company is great.